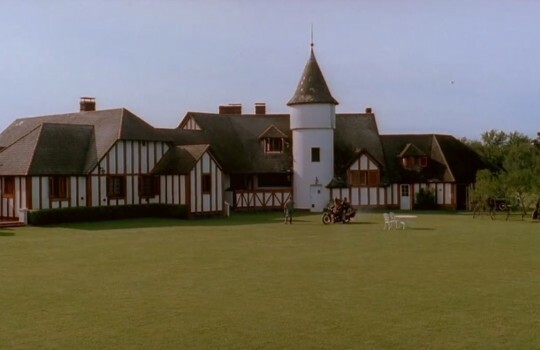 The Motorcycle Diaries (Diarios de motocicleta) is a 2004 film based on Ernesto ‘Che’ Guevara’s memoirs from when he was a 23-year old medical student. With his friend Alberto Granado they go on a road trip across South America from Buenos Aires in Argentina to the leper colony of San Pablo in Peru. 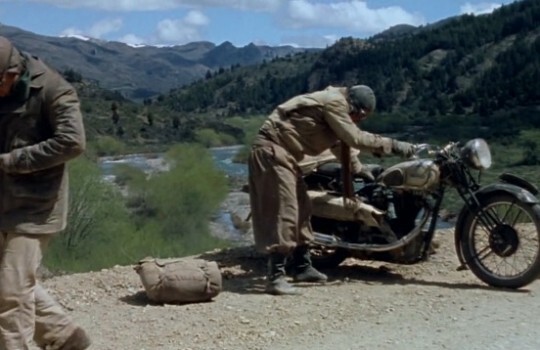 With the help of La Poderosa (“The Mighty One”), an old Norton 500 motorcycle, they go through Patagonia’s Lake District, the Andes, the Atacama Desert and the Inca site of Machu Picchu. 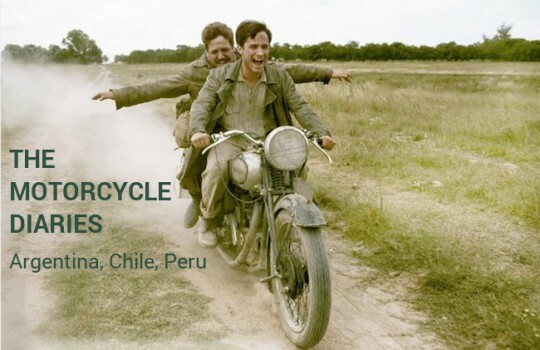 Regardless of whether one adheres to Che Guevara’s ideology and actions, The Motorcycle Diaries is a beautiful tale about the coming-of-age of friends traveling abroad for the first time who, beyond just fun and adventures, face life challenges and become aware of the world’s complexities. 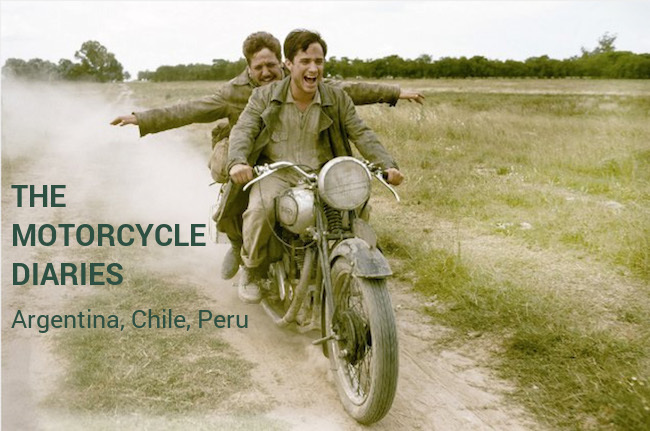 Read below for the full itinerary and map of The Motorcycle Diaries. 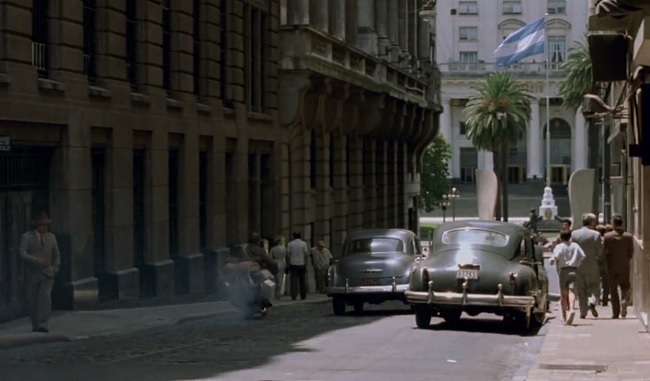 The Motorcycle Diaries itinerary of Ernesto "Fuser" Guevara and his best friend Alberto Granado starts in Buenos Aires where the first one lives (Alberto is from Córdoba). 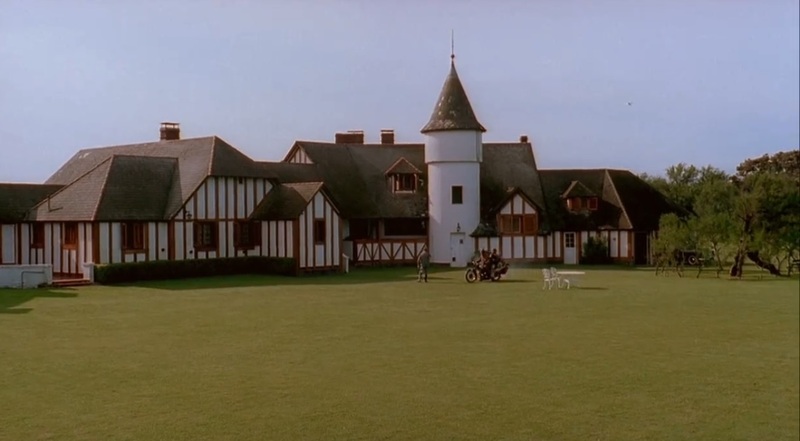 After saying goodbye to Fuser's family, the pair embarks on La Poderosa ("The Mighty One"), Alberto's old Norton 500 motorcycle. 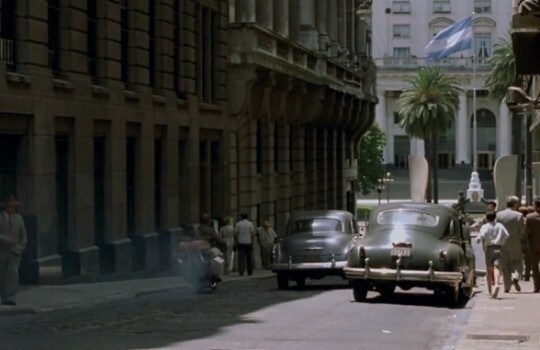 Plaza Miserere (Plaza Once) can be seen in these Buenos Aires scenes. 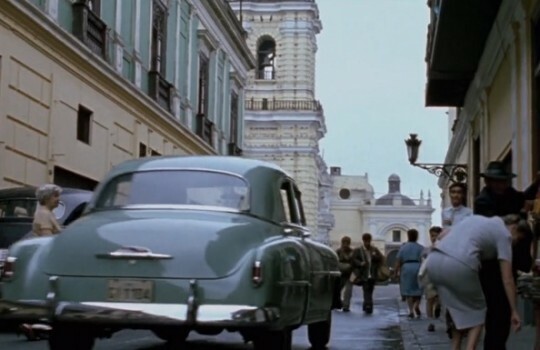 Guevara and Granado make a stop in Miramar where Chichina, Fuser's girlfriend, and her upper-class family are living. 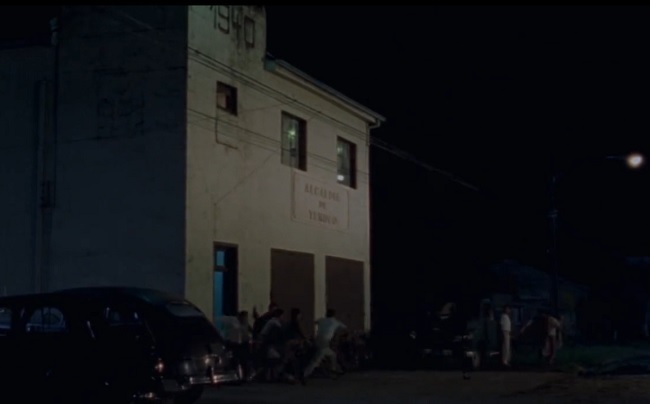 When first seeing the very neat and classy buildings of Chichina's family, Granado exclaims 'Where the heck are we? Switzerland?'. Miramar was actually a very exclusive white-only resort in the 50s. Fuser and Alberto continue their trip across Argentina and go through Piedra Del Aguila. This is a bit after the scene where they fix La Poderosa with Alberto trying to get Fuser to spill the beans about his 'activities' with Chichina. The pair then arrives in the Argentine Lake District, a beautiful region with many clear-blue glacial lakes and green forests surrounded by the tall snowy peaks of the Andes. 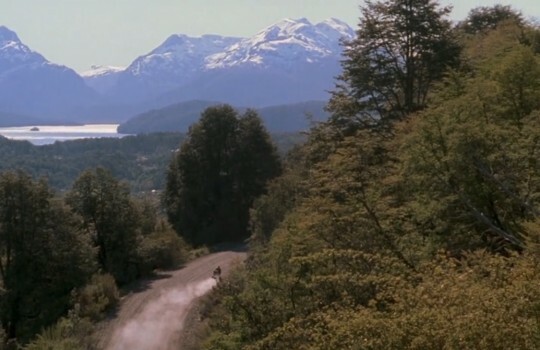 In these scenes we can see the northeastern shore of Lago Nahuel Huapi and the lakeside village of Villa la Angostura in Neuquen province. 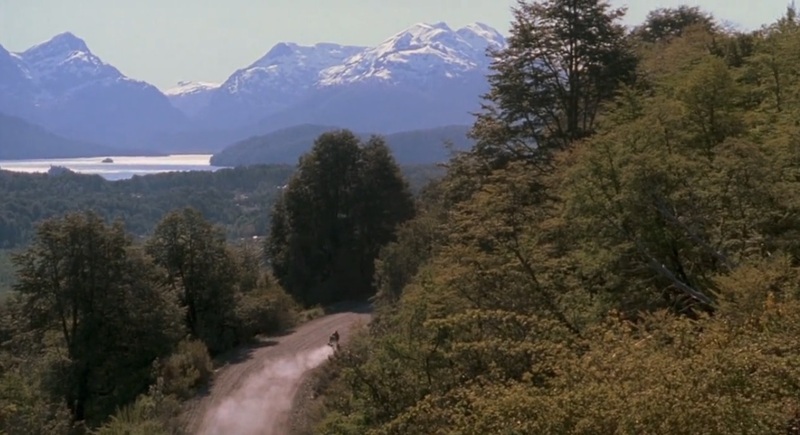 After losing their tent and having to sleep in the barn of a not-so-welcoming host, Fuser and Alberto go through San Martin de Los Andes. 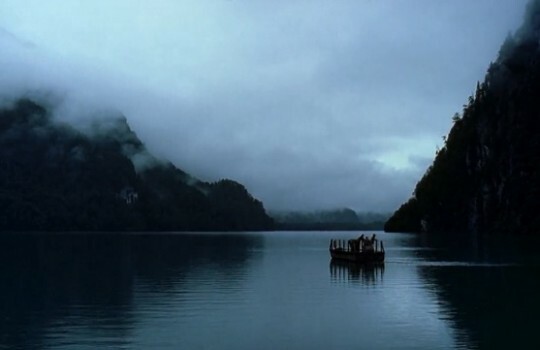 The duo then reaches San Carlos de Bariloche, the largest city of Argentine Lake District, located on the southern shore of Lago Nahuel Huapi. There Guevara reveals one of his personality traits, intransigence, when bluntly telling a potential host that he has a tumor even if this upsetting truth costs him and his companion a roof and a warm meal. 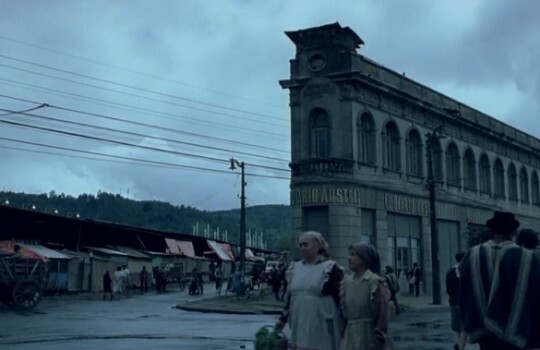 After crossing the snowy Andes on the sluggish Poderosa, the two friends finally arrive in Temuco in Chile. To attract good favors they give an interview to a local newspaper, El Diario Austral, that still exists to this day. 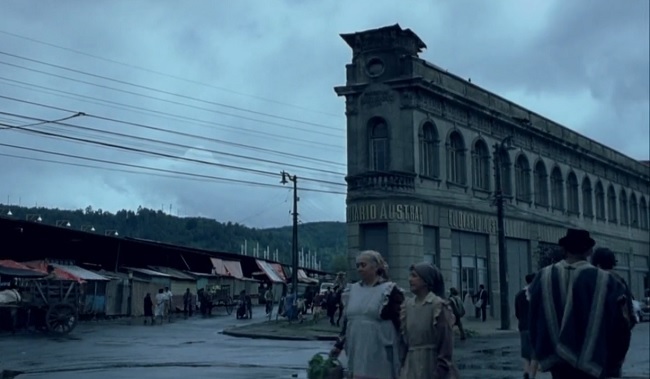 Still in Temuco, Fuser and Alberto escape a beating by a mob led by an angry husband whose wife almost succumbed to Guevara's charms and flee on La Poderosa. 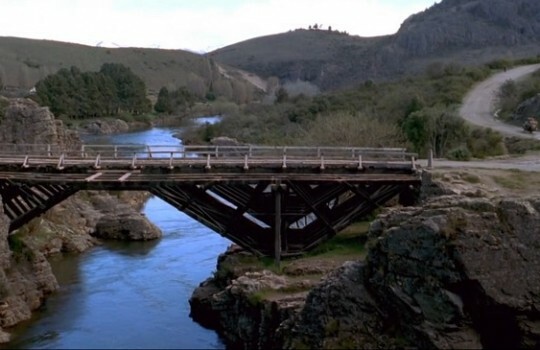 These scenes were filmed in Freire and Lautaro not far from Temuco. 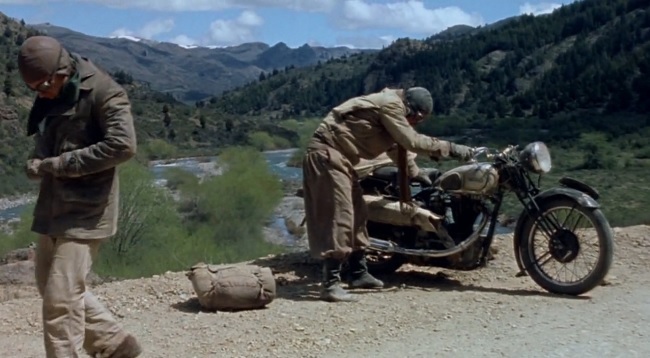 After crashing yet again on La Poderosa (this time with cows involved in the accident), Fuser and Alberto have to resign themselves to give up the loyal motorcycle and continue their journey by hitchhiking. 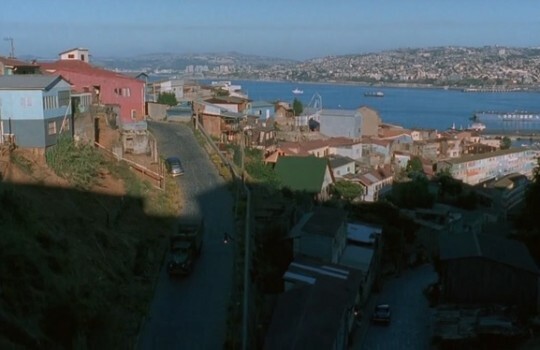 They arrive in Valparaíso, one of the largest cities of Chile and a seaport. 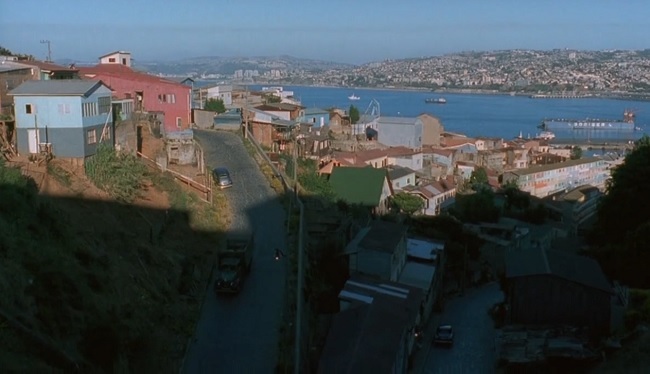 While in Valparaíso, Fuser receives a letter, most likely from his girlfriend Chichina, that throws him into a silent mood. 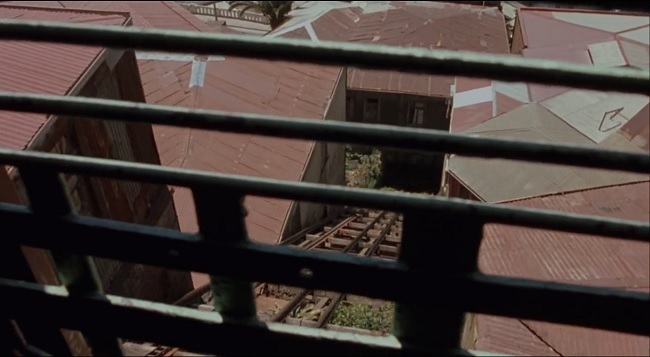 He reads the letter over and over again, including in the funicular railways of Valparaíso. Built mainly in the late 19th and early 20th centuries, some of those are actually still in service to this day. 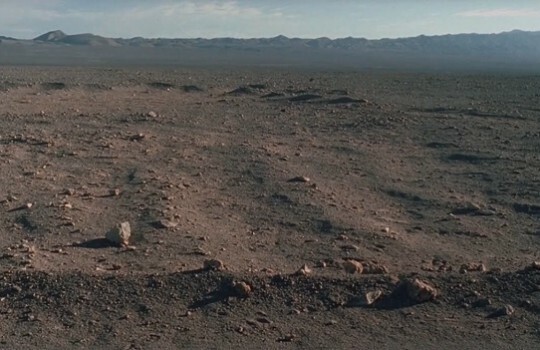 Fuser and Alberto continue their trip through South America on foot and hike through the Atacama Desert in Chile. There, they meet a couple of miners who are persecuted for being communists. 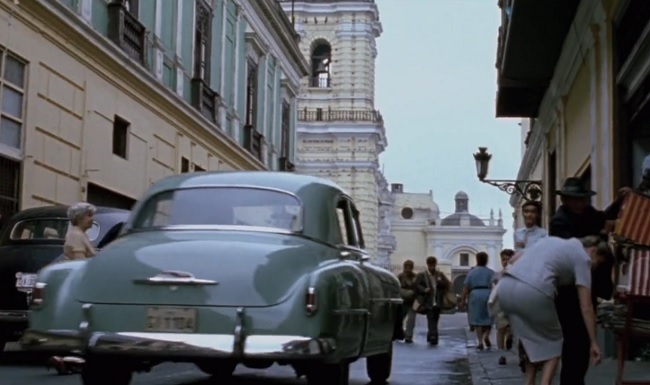 This moment marks a turn in the journey of Guevara as he realizes how he and Alberto are wealthy and spared from the troubles of life. Miner's Wife: Are you two looking for work? Ernesto 'Fuser' Guevara: No, we aren't looking for work. Miner's Wife: No?... Then why are you traveling? Ernesto 'Fuser' Guevara: We travel just to travel. Miner's Wife: Bless you... 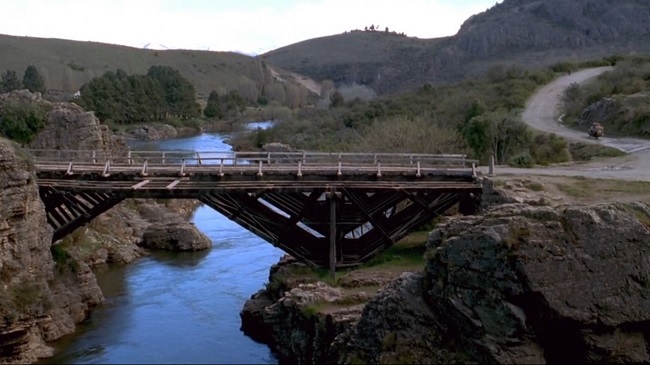 Blessed be your travels. 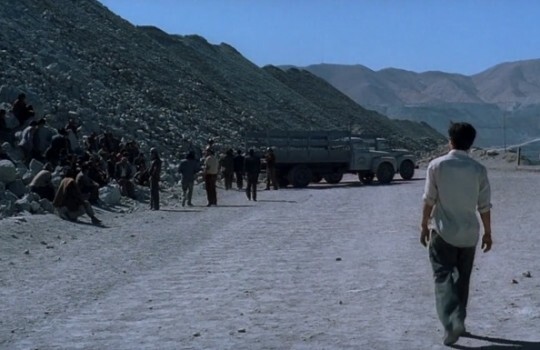 The next day Guevera and Granado accompany the miners where they get picked up for work. 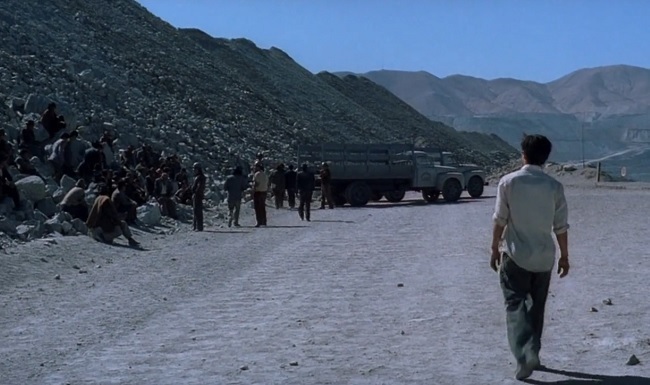 Fuser gets in a rage when he sees how the employee of the US-owned mining company (Anaconda Copper Company) treats the miners as livestock. 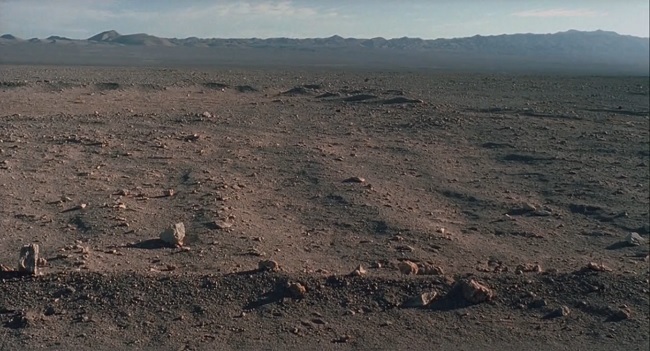 Located near Calama, Chuquicamata is one of the largest open-cast mines in the world. The site is still operating (although it's now state-owned) and can be visited. 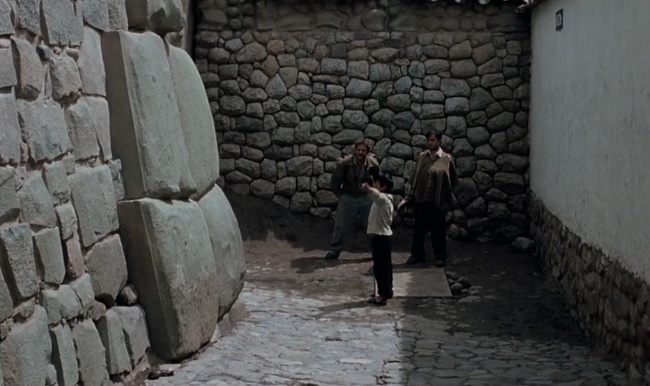 After Chile, Fuser and Alberto arrive in Peru and, more specifically, Cuzco. 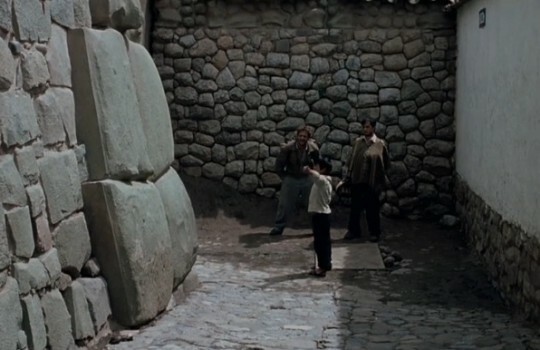 There, they are shown around the historical centre of the city by a kid who take them to Hatun Rumiyoc street where the famous twelve angle Inca stone is. The Cathedral of Santo Domingo can also be seen in these Cuzco scenes. Talking to indigenous Peruvian people in Cuzco, Guevara becomes even more aware of growing social inequalities in South America. Like many tourists nowadays, after Cuzco, Fuser and Alberto visit Machu Picchu, a 15th-century Inca site discovered by Hiram Bingham in 1911. 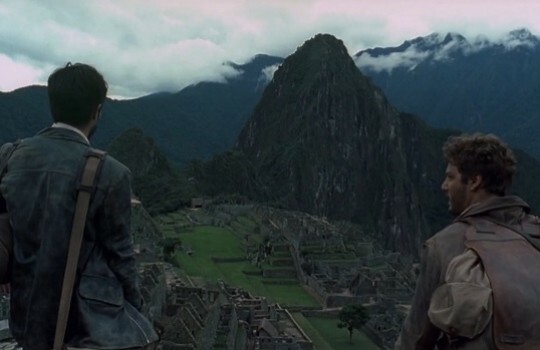 Luckily for the duo, they have Machu Picchu all for themselves and spend time meditating on their life and social issues in South America (not without taking silly pictures, of course). If you are interested in Machu Picchu and Peru in general, make sure to check out this trip. Ernesto 'Fuser' Guevara: A revolution without guns? It will never work. If you are interested in Machu Picchu and Peru in general, make sure to check out this trip. 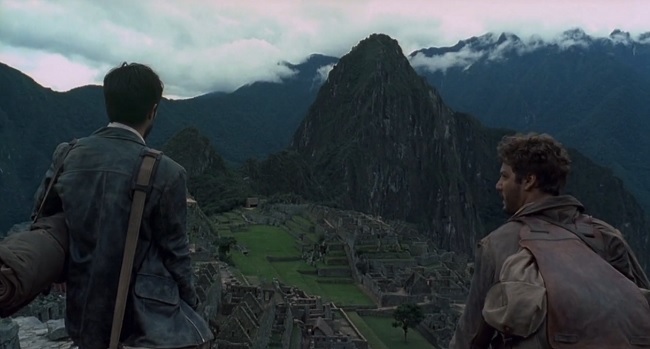 Guevara and his friend continue their trip north to reach Lima, the capital of Peru. 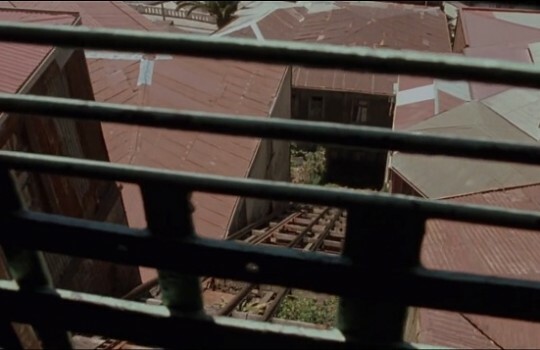 The historical centre of Lima and the Monastery of San Francisco can be seen in these scenes. Fuser and Alberto finally arrive to the main destination of their trip: the leper colony of San Pablo in Peru, located near Iquitos. 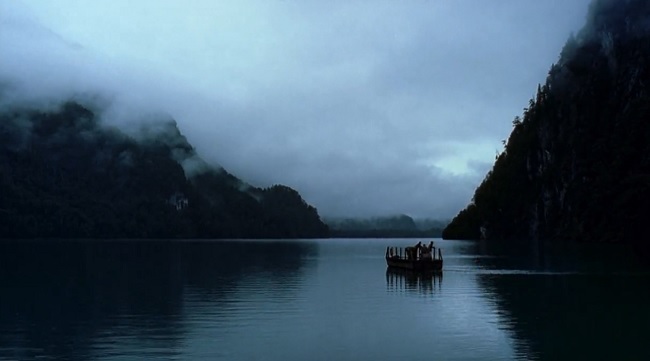 There, we see Fuser growing into Che as he witnesses the literal and metaphorical separation of society with doctors living on the north side of the Amazon River (Río Amazonas) and the lepers separated on the south. He refuses to wear rubber gloves and touches the lepers with his bare hands. He later takes the occasion of a birthday party to make his first political speech and express his idea of a pan-Latin American identity transcending the borders of South America. 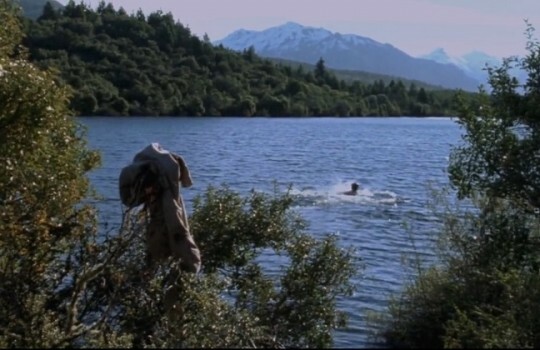 Finally, in a beautiful and heartwarming scene, Ernesto 'Fuser/Che' Guevara crosses the river that separates doctors from lepers, braving asthma and strong currents.